Beyond confirming that Malaysia Airlines Flight 17 apparently was shot down on July 17, the Dutch Safety Board’s interim investigative report answered few questions, including some that would seem easy to address, such as the Russian military radar purporting to show a Ukrainian SU-25 jetfighter in the area, a claim that the Kiev government denied. Either the Russian radar showed the presence of a jetfighter “gaining height” as it closed to within three to five kilometers of the passenger plane – as the Russians claimed in a July 21 press conference – or it didn’t. The Kiev authorities insisted that they had no military aircraft in the area at the time. The report is also silent on the “dog-not-barking” issue of whether the U.S. government had satellite surveillance that revealed exactly where the supposed ground-to-air missile was launched and who may have fired it. The Obama administration has asserted knowledge about those facts – initially pointing the finger at ethnic Russian rebels using a powerful Buk anti-aircraft missile system supposedly supplied by Russia – but the U.S. government has withheld satellite photos and other intelligence information that could presumably corroborate the charge. 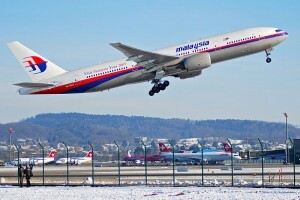 Curiously, too, the Dutch report, released on Tuesday, states that the investigation received “satellite imagery taken in the days after the occurrence.” Obviously, the more relevant images in assessing blame would be aerial photography in the days and hours before the crash that killed 298 people on the flight from Amsterdam to Kuala Lumpur. In mid-July, eastern Ukraine was a high priority for U.S. intelligence and a Buk missile battery is a large system that should have been easily picked up by U.S. aerial reconnaissance. The four missiles in a battery are each about 16-feet-long and would have to be hauled around by a truck and then put in position to fire. Just days after the July 17 shoot-down, a source who was briefed by U.S. intelligence analysts told me that the analysts were examining satellite imagery that showed the crew manning the suspected missile battery wearing what looked like Ukrainian army uniforms. Then, on July 22, at a briefing given to journalists from major U.S. publications, a U.S. intelligence official suggested that a Ukrainian military “defector” might have launched the Buk missile against the airliner, possibly explaining the issue of the uniforms. 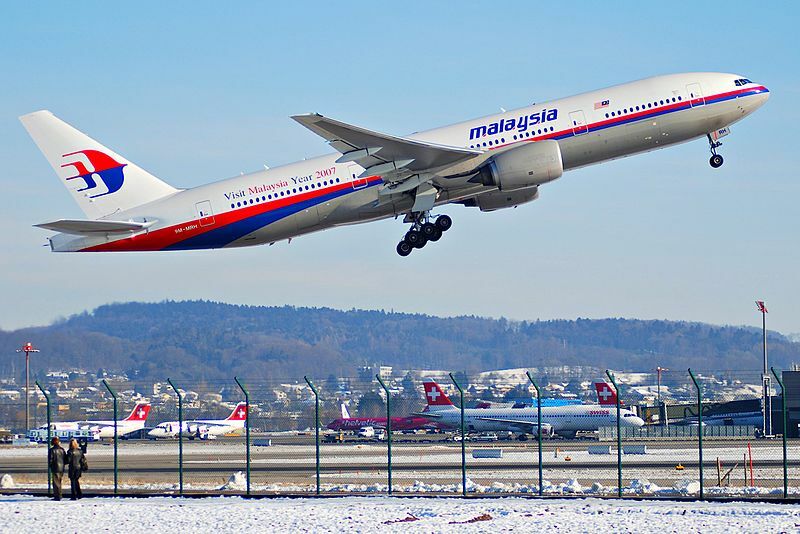 The briefers also theorized that the rebels hit Malaysia Airlines Flight 17 by mistake, thinking it was a Ukrainian military aircraft. The Dutch report’s reference to only post-crash satellite photos is also curious because the Russian military released a number of satellite images purporting to show Ukrainian government Buk missile systems north of the eastern Ukrainian city of Donetsk before the attack, including two batteries that purportedly were shifted 50 kilometers south of Donetsk on July 17, the day of the crash, and then removed by July 18. Russian Lt. Gen. Andrey Kartopolov called on the Ukrainian government to explain the movements of its Buk systems and why Kiev’s Kupol-M19S18 radars, which coordinate the flight of Buk missiles, showed increased activity leading up to the July 17 shoot-down. The Ukrainian government countered these questions by asserting that it had “evidence that the missile which struck the plane was fired by terrorists, who received arms and specialists from the Russian Federation,” according to Andrey Lysenko, spokesman for Ukraine’s Security Council, using Kiev’s preferred term for the rebels. Lysenko added: “To disown this tragedy, [Russian officials] are drawing a lot of pictures and maps. We will explore any photos and other plans produced by the Russian side.” But Ukrainian authorities have failed to address the Russian evidence except through broad denials. On July 29, amid escalating rhetoric against Russia from U.S. government officials and the Western news media, the Veteran Intelligence Professionals for Sanity called on President Barack Obama to release what evidence the U.S. government had on the shoot-down, including satellite imagery. However, the Obama administration failed to make public any intelligence information that would back up its earlier suppositions. Then, in early August, I was told that some U.S. intelligence analysts had shifted away from the original scenario blaming the rebels and Russia to one focused more on the possibility that extremist elements of the Ukrainian government were responsible. But then chatter about U.S. intelligence information on the shoot-down faded away. Given the intense global interest in the tragedy, there were high hopes that the Dutch Safety Board, which is heading up the international investigation, would at least begin clarifying the evidence and sifting through the conflicting claims. However, more than seven weeks after the crash, the preliminary report fails to address any of the evidence regarding who actually fired the missile and from precisely what location. 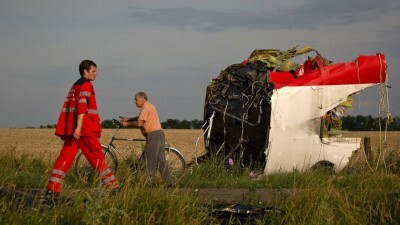 The Dutch Safety Board promised a final report before the first anniversary of the crash on July 17, 2015. By then, however, the slaughter of those 298 people could well become a cold case with little hope of finding the perpetrators – whoever they might be – and bringing them to justice.